Our beloved God, Shri Ganesha is widely known as pot-bellied, elephant-headed God. 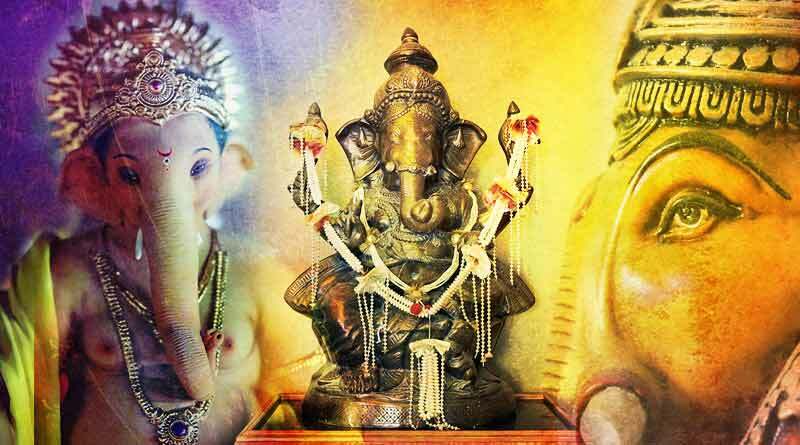 Like any other Hindu God, there are various avatars of Lord Ganesha in different eras to fight various evils. 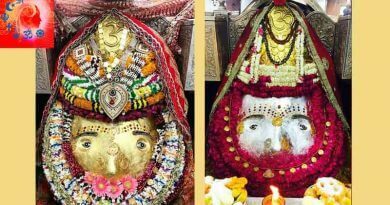 The two Upapuranas dedicated exclusively to Ganesha are Ganesha Purana and Mudgala Purana. Ganesha Avatar, Vinayaka was born in Krita Yuga with ten arms, mounted on a lion and a has a huge body. Mayuresvara (Mayuresvara), his other avatar born in Treta Yuga, has a white complexion with six arms and mounts a peacock. In the Dvapara Yuga, he is born to Shiva and Parvati as Gajanana, with four arms, red complexion and rides Dinka, a mouse. Born with a smoky complexion and two arms, he mounts a horse in the Kali Yuga. Vakratunda, born to kill the demon named Matsara, who with the grace of Shiva became powerful and started to win over Gods with his evil ways; with a twisted Trunk and four hands he mounts a lion. Ekadanta, born to kill the demon named Madasur, who with his extreme power gained with the help of Shukracharya started to harm the Gods; he is born with four hands, a huge body and his mount is a mouse. Mahodara born to defeat the demon named Mohasur, the demon of illusion, his mount is a mouse. Gajavaktra or Gajānana, with an elephant face, he took this avatar to subdue Lobhasura, lobh in Hindi means greed and asura means a demon; his mount is a mouse. Lambodara with a pendulous belly, he was born to conquer Krodhasura, he was the demon of anger or ‘Krodh’ in Hindi his mount is a mouse. Vikata, born to vanquish Kamasura, the demon of desire and lust. Vikata- ‘the unusual form’ or ‘the misshapen’ mounts a peacock. Vighnaraja which stands for the king of obstacles was born to conquer Mamtasura, his mount is the celestial serpent Śeṣa or Seshnag. Dhumravarna born with grey colored skin to overpower Ahmakarasura, who was the demon of human ego, his mount is a horse. Hence the eight Avatars mentioned in Mudgala Purana are born to conquer eight evils that take over human beings on earth. For more details on Various Avatars of Lord Ganesha and related updates, like and subscribe to tentaran.com. Pitru Paksha 2018 जानिए क्यों किया जाता है श्राद्ध?